A man arrested on suspicion of murdering a man whose body was found in woodland has been released on bail. 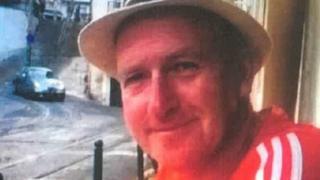 Gary Dean, 48, was discovered with severe injuries at Silkstone Common, near Barnsley, on Thursday. A 40-year-old man who was questioned on suspicion of murder and a woman, 76, arrested on suspicion of assisting an offender, have been released on bail. A post-mortem examination found Mr Dean died from "injuries resulting from a significant assault". South Yorkshire Police has appealed for anyone who may have seen Mr Dean on Thursday to come forward. Det Ch Insp Steve Whittaker said: "We know that when Mr Dean was last seen by loved ones on Thursday morning, he was wearing trainers and a bright red running top. "The post-mortem has revealed that Mr Dean was subjected to a violent and significant attack, so we need to hear from anyone who can help us piece together his movements that Thursday."